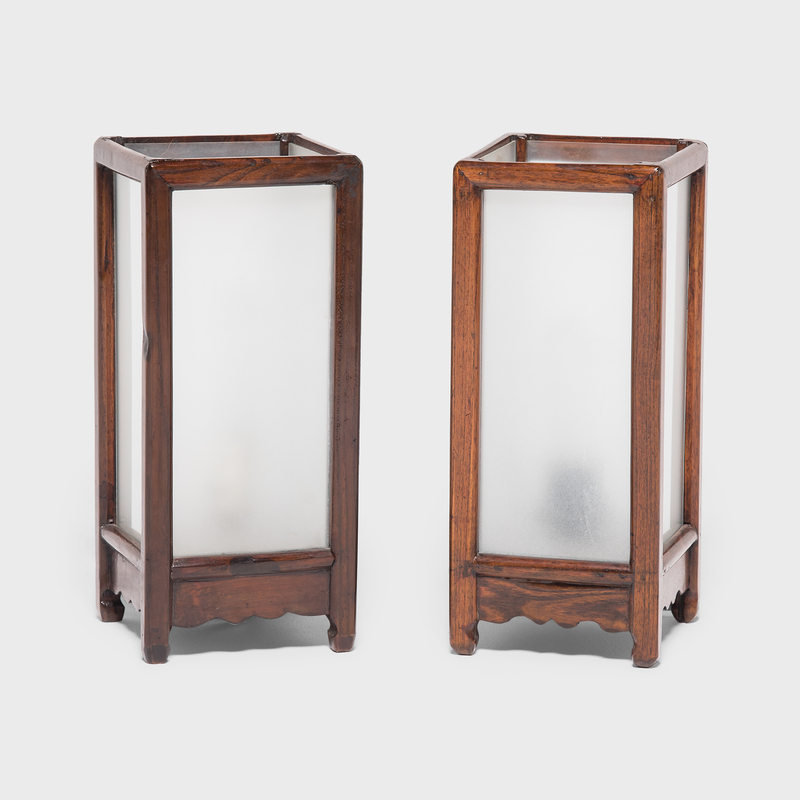 W: 10.75" D: 10.75" H: 46.5"
This pair of striking, elongated elmwood lanterns were finely carved by hand and originally used on the floor or table top of a 19th-century Chinese official's home in Fujian province. The small aprons, panels, and finials are all hand-carved with beautiful meandering scrollwork and trailing vines. 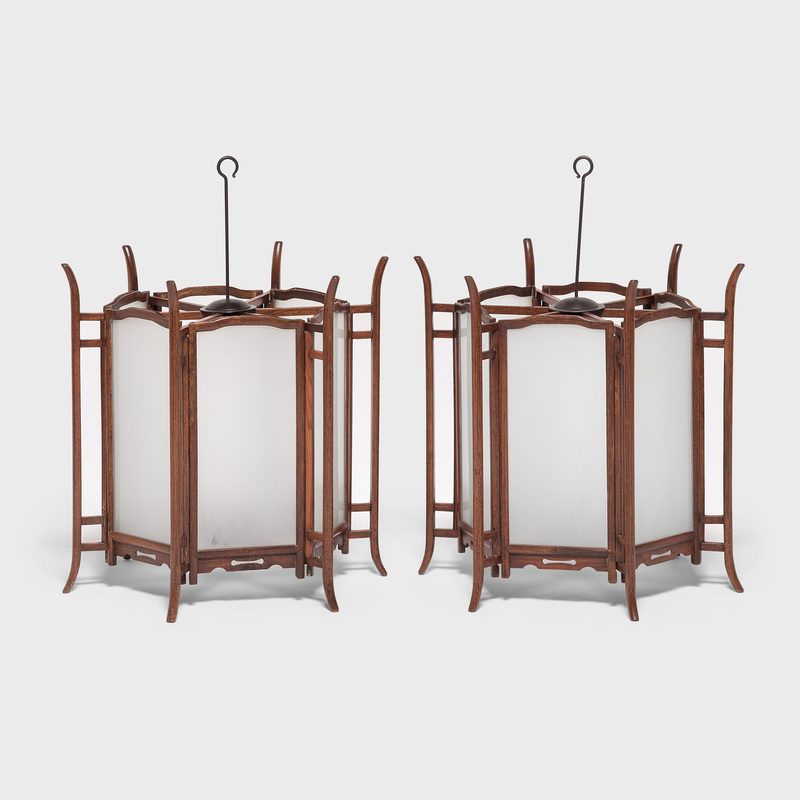 Cloaked in a layer of dark lacquer, the lanterns have gained a richly worn texture from a century of use. 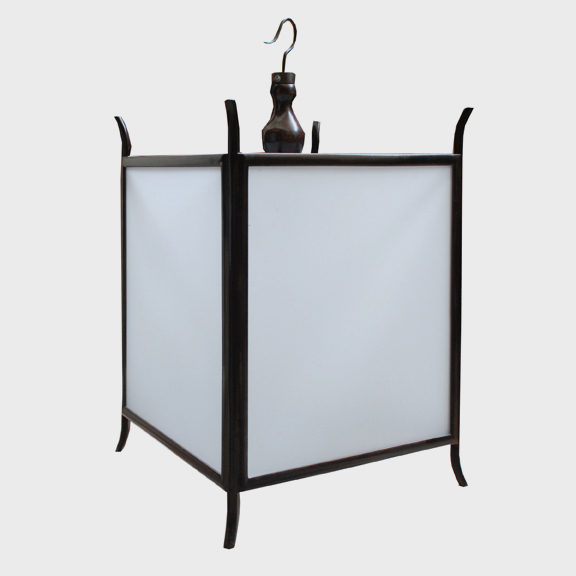 The original paper or silk lining that protected the candlelight within has been replaced it with removable panels of frosted glass. 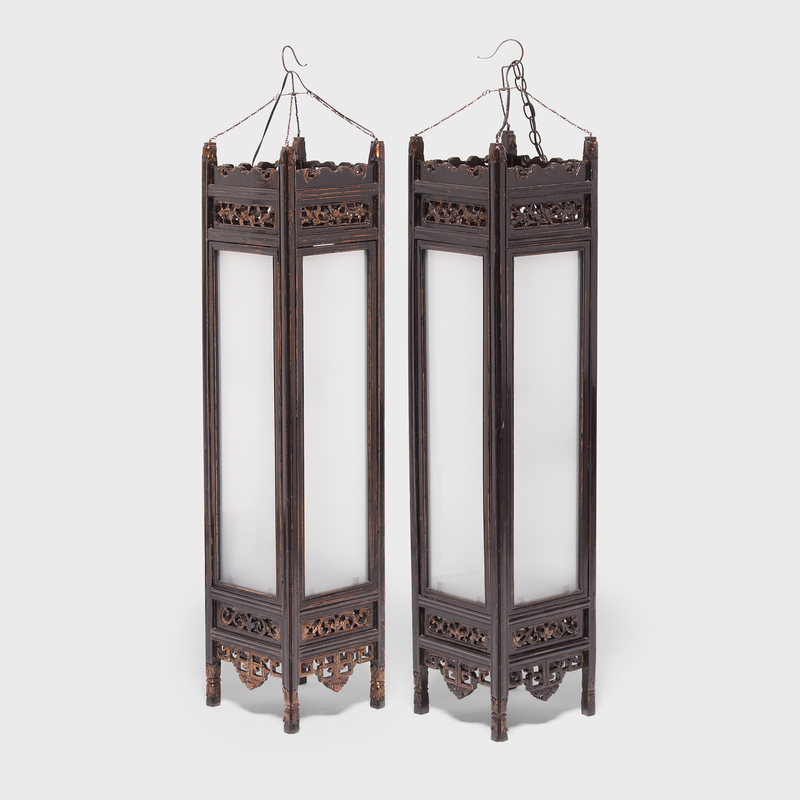 Each lantern has been wired for a single light bulb (100 watt max.) 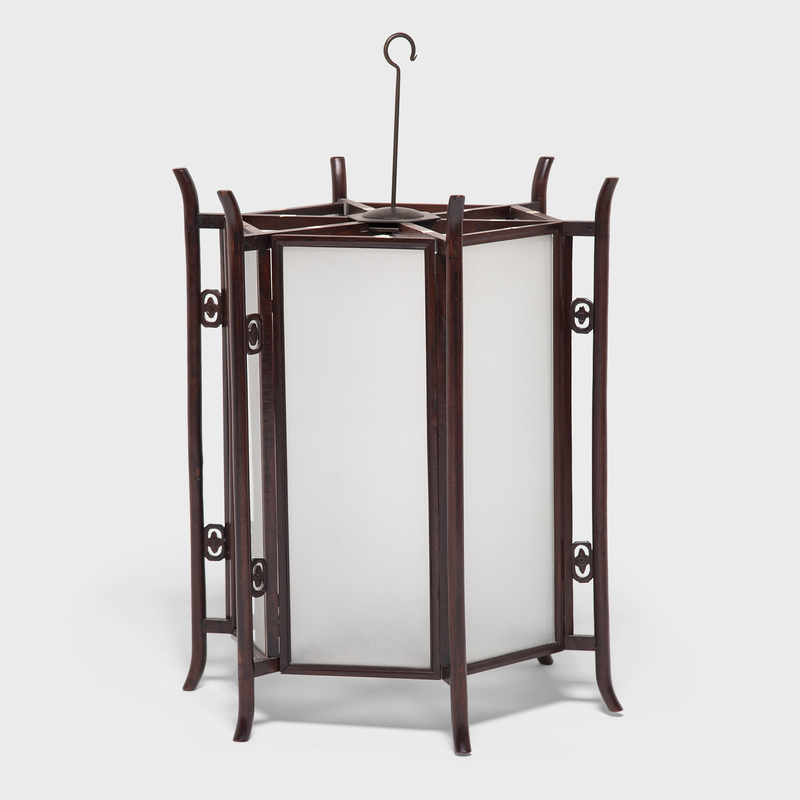 and fitted with a chain and dark brown canopy for hardwiring to a ceiling junction box. Chain and wire can easily be adjusted upon request.